I had both the Nest Hello video doorbell and Nest x Yale smart lock installed in my home recently, and so far, I’m loving them. Before these two products, I never had any sort of smart home tech toward the front of my home. The only things I considered smart in my house before the recent installation were my ecobee thermostat, the Google Home units scattered throughout, as well as an Amazon Cloud Cam for spying on my dogs when I’m away. After installing these new Nest units, though, I get the sense that my home has not only gotten a bit more secure, but smarter. While the upfront investment is something that always kept me away from fully diving into the smart home game, I can now see why so many people are flocking towards smart stuff. To give you an idea of how much the whole process cost, the Nest Hello costs $229, while the Nest x Yale lock costs $249 (or $279 with an included Nest Connect). If you’re like me and want to make sure things are set up properly, you’re looking at an additional charge for a Nest Pro to come to your house and install everything, too. While it’s entirely up to you if you want to self install, and Nest provides plenty of instructions and installation guides, it’s nice that there are trained professionals who specialize in the installation of Nest products. 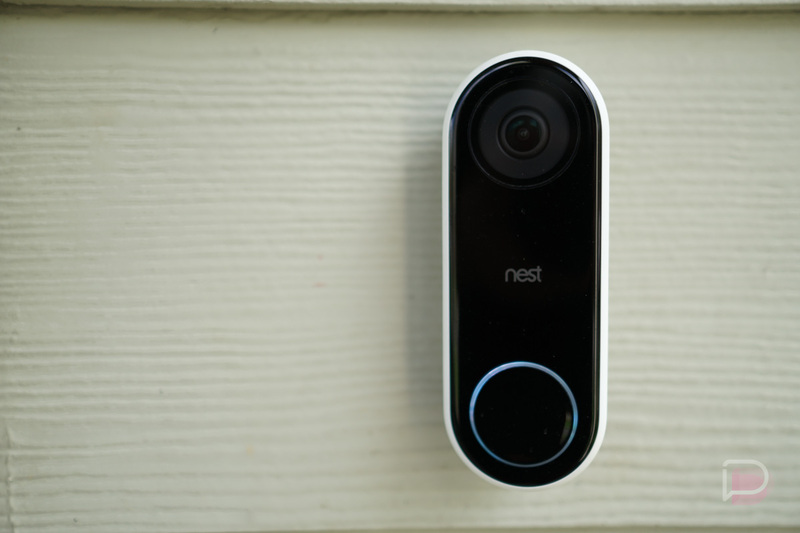 To give you an overview of the products, let’s start with Nest Hello video doorbell. Nest Hello replaces your existing doorbell, allowing you to see who is at the door without ever having to leave the couch. You can even pretend you are at home with the built-in audio function inside of the Nest application and mic/speaker package in the doorbell. This is handy for when a stranger, aka solicitor, comes knocking and you want to shoo them off. No, I do not need that $3,000 vacuum and no you cannot come into my home and showcase its super sucking power on a portion of my carpet. Nest Hello ventures into the realm of being smart by recognizing faces, a feature only accessible via a Nest Aware subscription. 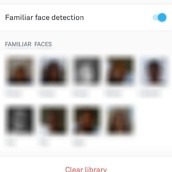 With Familiar Faces, Nest Hello takes snapshots of faces it sees, then you can label these faces inside of the Nest app. 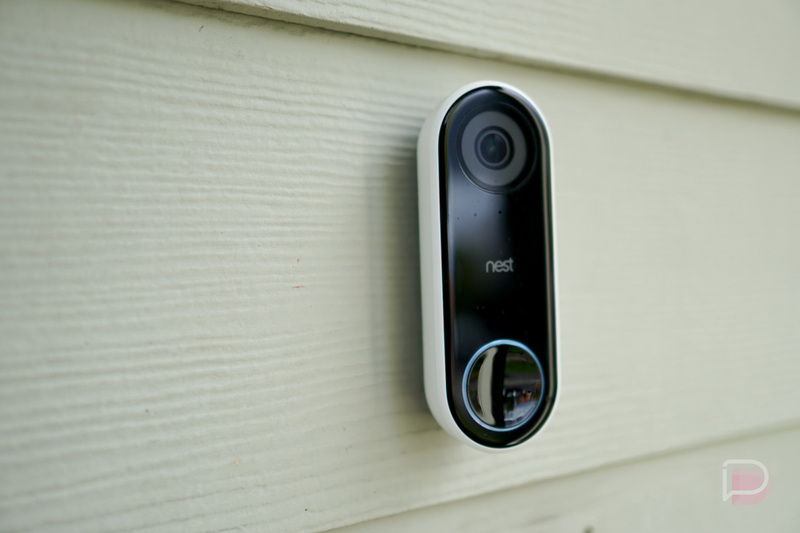 Whenever these people come up to the door, Nest Hello alerts you that it has spotted someone familiar. Furthermore, if you sync your Nest Hello with Google Assistant, should that familiar person ring the doorbell, your Google Home will announce exactly who is at the door. So far, I’ve had my doorbell recognize the lovely lady who goes around the neighborhood selling tamales and my charismatic FedEx delivery person. Now whenever they come by, I know who is knocking when I’m upstairs working. As for its person detecting skills, the Nest Hello is quite sensitive. 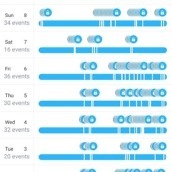 I live on a block that sees moderate foot traffic when the schools around me are in session, so over the course of any given week, I’m getting quite a few notifications whenever Nest Hello spots somebody. 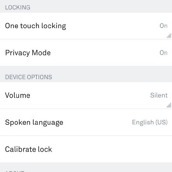 Inside the app, there is no option for taming the device’s sensitivity, but I’d rather it be overly sensitivity than not catching people walking by at all. 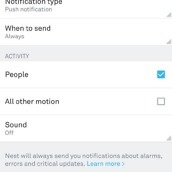 Users can also choose from a People and an All Other Motion notification set, but I leave the All Other Motion option unselected because it would likely pick up all of the different animals, cars, and other stuff that happens outside my place. The always-on aspect of Nest Hello is one of my favorite things about it, too. At the end of the day, should someone approach your door but not ring the bell, the camera is still recording and will alert you to their presence. I imagine a device like this would ruin the plot of many horror movies, and for that, I’m thankful. 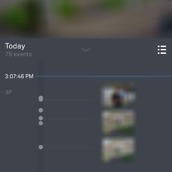 Whenever a video is recorded, you can access it via the Nest application, scroll through all of your past recordings, create clips for saving and sharing, as well as filter events by Motion, Doorbell Rings, Unfamiliar Faces, Motion, Persons, and Familiar Faces. To sum it up, the Nest Hello is a must have for anyone looking to make their home a little smarter, but does come with that initial price tag and monthly price for Nest Aware. And if you’re going to ask if Nest Aware is necessary for Nest Hello, that’s a judgement call on your part. I enjoy having the 24/7 continuous recording and Familiar Face detection, so it seems like a good value to me, but your needs could differ. Nest recently introduced a $5/month tier that includes 5 days of video history, but even without it, you get all of the essential features, so don’t worry if paying the monthly price for Nest Aware doesn’t exactly interest you. 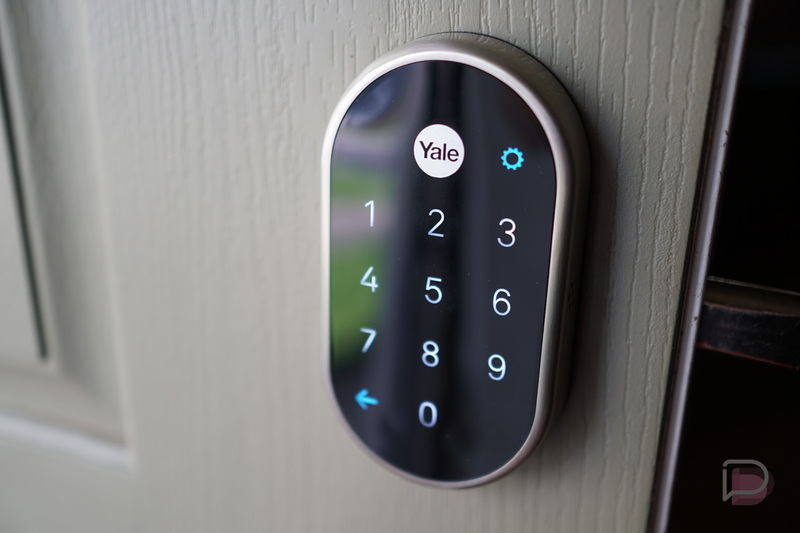 Nest x Yale lock replaces your existing deadbolt, leaving a keyless touchpad device in its place. It’s not exactly smart, but it does make accessing your home a more futuristic process, as well as improves the method of granting friends and others access to your home. After installation, you create a master passcode for unlocking the deadbolt. With that code, whenever the deadbolt is locked, you can unlock it by entering that passcode. To make things feel a bit more 2018, you can also lock and unlock the deadbolt via the Nest application on your phone. Now, where things get cool is the lock’s ability to recognize secondary passcodes that you create, then give out to those you trust with access to your pad. For example, let’s say I give my dog walker access so they can let the pooches out during the day to do their thing. 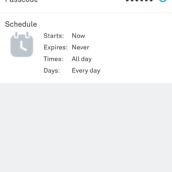 I can go into the app, create a secondary passcode, send them the passcode, then they can enter the house and walk the dogs only during a scheduled time. If they attempt to enter that code at a non-scheduled time, they can’t gain entry. Additionally, the Nest app will alert me whenever one of those codes is entered, so as the homeowner I’m always aware of who is coming and going. Of course, if you couple this lock with Nest Hello, you’ll be very much in the know of what’s happening at the homestead. Other features that come along with the Nest x Yale lock are a Privacy Mode, which disables the outside touchpad so unlocking the deadbolt can only be done via the Nest app, a complete history overview of events for the lock (locks and unlocks), One-touch Locking that lets you lock the deadbolt by pressing the Yale logo on the front, as well as an Auto-Lock feature that lets you manage how long the lock will wait before automatically locking itself. Now, in terms of value, it’s hard to justify the $279 price for Nest x Yale lock (I didn’t have a Nest Connect, so I had to opt for the higher price), but once it’s installed and you feel as if it’s a deadbolt you will take with you whenever and if ever you move, it’s not a terrible investment. I quite enjoy the concept of never needing to get keys made for friends and family, but that means I also can’t ever lock my doorknob. Something also important to note, I would typically not lock my door when walking my dogs around the block. 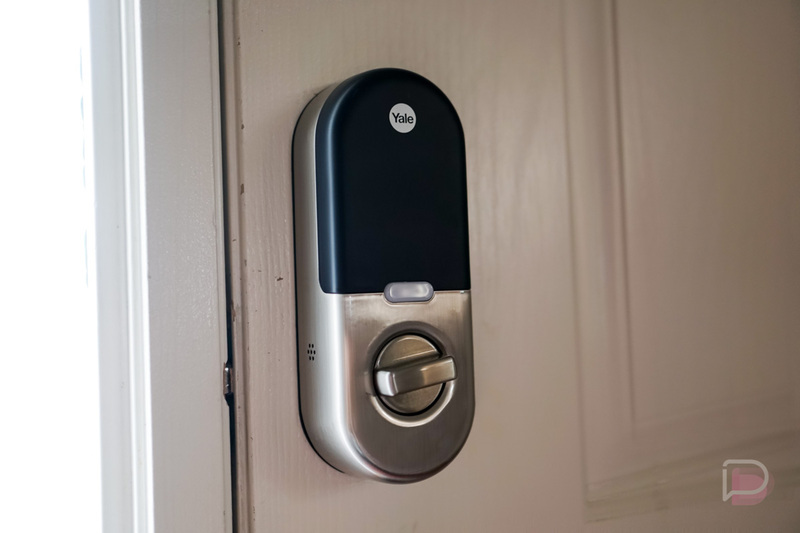 It’s a pain to carry keys with me, but with this Nest x Yale lock now installed, the door locks right behind me and I get back into my house by entering a code. If anything, this smart deadbolt is helping my property stay safe without me having to put forth any effort. For that reason, I see it as an easy purchase. These two new products from Nest are great when coupled together, but also very useful when separate. Again, as someone who never dove headfirst into the smart home gadget market, I am very happy about installing these. With them, I’m becoming more aware of what’s happening outside my home when I’m not around, and frankly, I love the look on the face of my friends whenever they go to press my doorbell and I start talking to them via the Nest Hello. On top of that, granting access to others to my home without me having to be even in the same state is going to be extremely helpful once our travel season picks up. This is a sweet setup and definitely one you should check out if you’re looking to upgrade your home with some gadgetry.